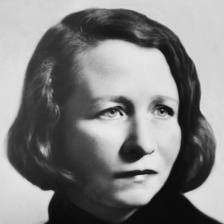 When discussing the sonnet in the 20th century, Edna St. Vincent Millay’s name has to appear in the conversation. Not only did Millay find value in the sonnet when other poets were vociferously rejecting it, she also used this traditionally male-dominated poetic form to express female sexuality. In her sonnets, Millay challenges the role that women often occupied in poetry – that of the object of the poet’s affection. If you think about it, we only ever get one side of the story in a sonnet, the one told from the male poet. Generally, the woman is silent, voiceless. Millay gives voice to the other half of the relationship. But first I want to turn to the question of why it was such a bold move as modern poet for Millay to write in the sonnet tradition. 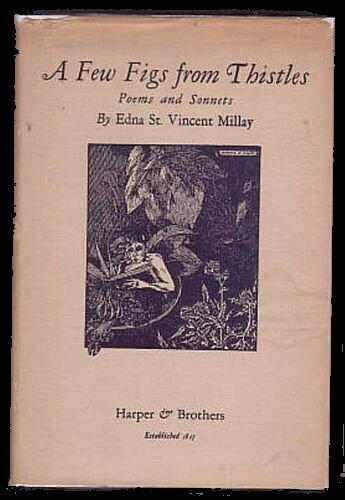 Millay’s writing career spanned 38 years: her first collection of poetry, The Lyric Year, was published in 1912, while Second April appeared in 1950. She wrote during the artistic and literary period known as the Modern Era. Though it would be impossible for me to define what the Modern Era, or Modernism, is in the space of a blog post, let me just mention that Modernists valued spontaneity, authenticity, and originality. Modernists wanted to break all existing past forms of artistic expression. They saw rules, conventions, and forms as inhibiting/holding back the artist’s or writer’s creativity. Ironically, a man who looked like this would call the sonnet the devil! T.S. Eliot doubted whether poets would even write sonnets much longer. So for Millay to continue to compose sonnets was going against the artistic current of the period. Enter Millay’s sonnet “I will put Chaos into fourteen lines.” Here Millay argues for the importance of the sonnet, and really all poetic forms. The sonnet details the poet’s struggle to wrest Chaos into Order. Chaos and Order come to metaphorically represent two parts to artistic expression: Order becomes the structure, the means through which the poet can communicate, while Chaos Millay sees as the artistic impulse or creativity. To have Order without Chaos results in empty, passionless poetry; to have Chaos without order gives us poetry that is incomprehensible. Millay’s task as a poet is take that “something simple not yet understood” (Chaos) and hold him “till he with Order mingles and combines.” Being a poet for Millay is negotiating between the desire to break down structures to express an original thought and the need to be understood. The Free Love movement, the idea of love not confined by marriage or even monogamy, did not start in the 1960s, but actually became popular among the Bohemian culture of 1920s, especially in Greenwich Village. (Millay lived in Greenwich Village for much of her life.) You may have noticed when reading Millay’s sonnets that she challenges the traditional passive role that women are often placed in within love poetry. Millay’s “What lips my lips have kissed, and where, and why” not only is told from a female perspective but also presents a frank discussion of female sexuality. Let’s start with the opening two lines: “What lips my lips have kissed, and where, and why,/ I have forgotten” Already there is stark contrast to the idealized love we normally expect in poetry. (For reference, read Elizabeth Barrett Browning’s “How Do I Love Thee?”) The love written about in poetry is supposed to be all-consuming, innocent, and focused on one person. Here the speaker’s sexual liaisons have been so numerous that she has forgotten the details of the relationships, even their names. The most radical aspect of Millay’s poem is that this is a female voice speaking openly about having many lovers. Millay writes about her sexual freedom in such a frank and unabashed manner – rather than conforming to the sexist double-standard that shames women for engaging in multiple relationships , Millay writes about it honestly. This is not to say that the sonnet is free of regret. The speaker in the sonnet is later in years. 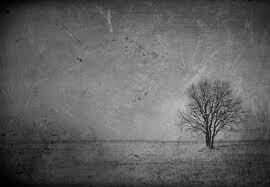 At line 9 (again the volta), Millay offers the image of the “lonely tree” in winter, whose boughs, now empty, were once crowded with birds. The sonnet’s tone is nostalgic, looking back to a time when “summer sang in” her ” a little while.” Interestingly, the root of “nostalgia” is Greek for a type of pain. The speaker of the sonnet experiences this pain when hearing the rain on the window and then being reminded of “unremembered lads that not again/ Will turn to me at midnight with a cry” (lns. 7-8). 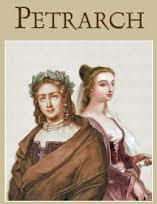 Petrarch depicted here wearing the traditional symbol of the poet, the crown of bay leaves. Laura de Noves depicted as being all sorts of creeped out! Older women are pretty much absent from sonnets, and yet here Millay’s speaker is a woman looking back on her youth. 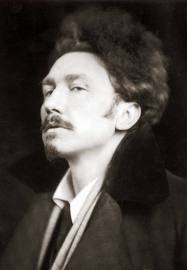 This entry was posted in Uncategorized and tagged Edna St. Vincent Millay, Free Love Movement, Gender, Love, love poetry, Modernism, Petrarch, Shakespeare, sonnet. Bookmark the permalink.